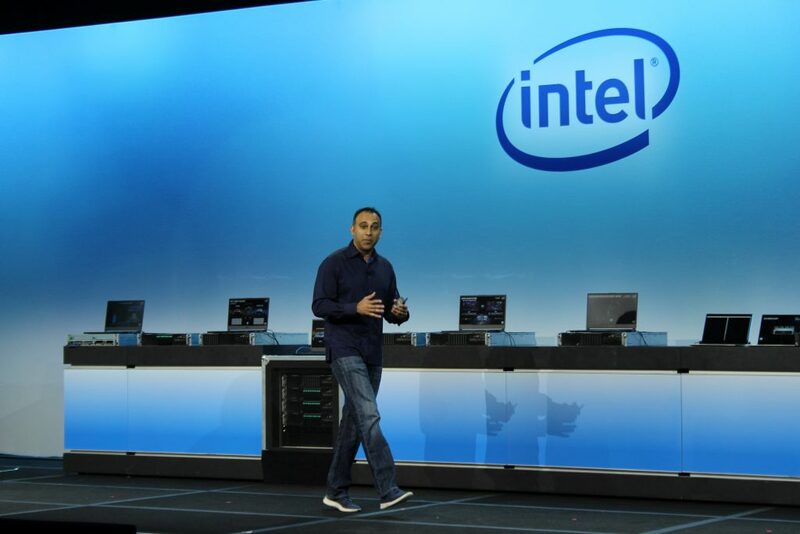 Navin Shenoy, EVP/GM data center group, Intel Corp. introduces new products at Intel's data-centric event. SAN FRANCISCO — Intel Corp. doubled down on its data-centric strategy message on Tuesday, unveiling seven new products that it says will help it pursue a $300 billion market opportunity. The flagship product is the second-generation Xeon Scalable processor, which is tailored for deep learning applications and can be customized to tackle different workloads. 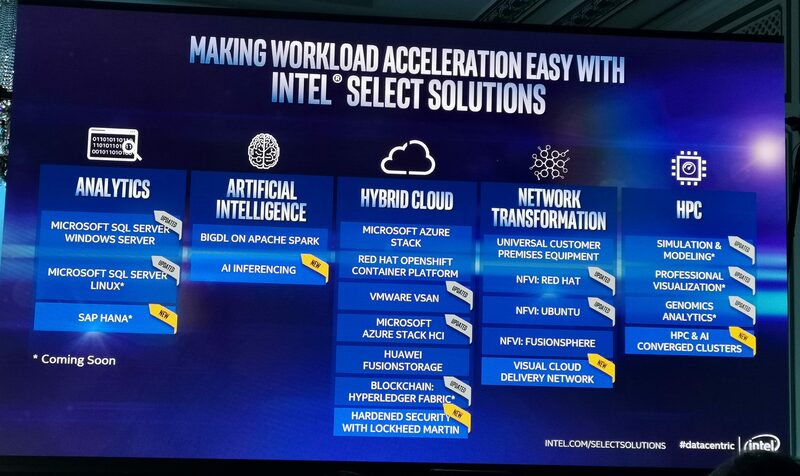 But, as the vendor made clear during its keynotes at its “data-centric” event, “Intel inside” now refers to much more than just a CPU. Intel also announced new memory, storage, networking, security, and field programmable gate arrays (FPGAs). Along with its new line of data-centric products, Intel wants to help its resellers relieve their customers of the guesswork of putting together the right infrastructure solution, says Phil Vokins, channels manager at Intel Canada. To aid in that, Intel Select Solutions offer packages of partner-made hardware designed to service specific workloads. For resellers interested in specifically delivering one of the products Intel announced today – some of which are generally available now, others of which will be coming later this year – Vokins says it’s business as usual. 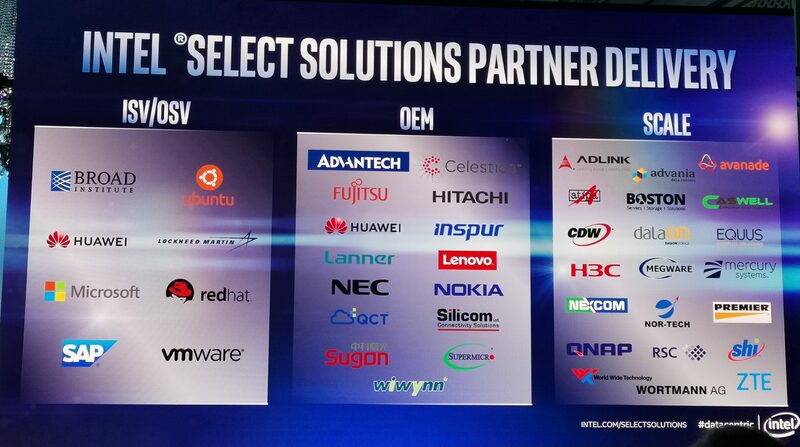 Work with an OEM partner, such as Dell Technologies or Lenovo. Or buy the components from authorized distribution channels and build a custom solution – a route that Vokins says is rare in Canada. But available now is the Optane memory product, Optane DC persistent memory, designed to be used alongside Xeon Scalable CPUs. Asked about any specific incentives for resellers around the new products, Vokins didn’t provide details as the programs haven’t been made public. But partners should stay in touch with their Intel reps to keep updated.